KAPAPAMAHCHAKWEW (Papamahchakwayo, Wandering Spirit, occasionally known as Esprit Errant), war chief of a band of Plains Cree; b. c. 1845; d. 27 Nov. 1885 by hanging at Battleford (Sask.). He was survived by at least one daughter. From the fragmentary evidence concerning Wandering Spirit’s earlier life, he seems to have been the ideal Plains Cree warrior. In appearance he was tall and lithe with an arresting countenance distinguished by large piercing eyes, a long straight nose, and thick curly hair. His voice had a smooth, velvet quality and though usually soft could rise to ringing tones. A member of the band that followed Big Bear [Mistahimaskwa], he attained the prestigious position of war chief, an office separate from the social chieftainship held by Big Bear, as a result of his daring battle exploits. He was reputed to have killed between 11 and 13 warriors of the Blackfeet, hereditary enemies of the Crees – more than any other member of the band. His unique war bonnet was made of a whole lynx skin looped double with the head fixed to the tail, open at the top, and decorated with five eagle plumes. As war chief, Wandering Spirit was also head of the warrior society, especially important during the summer hunts and festivities. Among its functions were policing the tribal camps, keeping guard against enemies, and carrying out special duties in connection with the buffalo hunt. For warriors such as Wandering Spirit the collapse of the Plains Cree way of life in the 1870s, resulting from the disappearance of the buffalo and the signing of the treaties, engendered particular bitterness and despair. 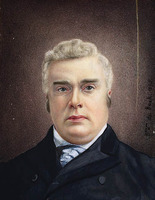 The band of dissidents who gathered around Big Bear tried to resist the new order but eventually starvation forced them to adhere to Treaty no.6 in December 1882. During the winter of 1884–85 Big Bear’s destitute band camped in the vicinity of the small settlement of Frog Lake (Alta), which was an agency for the Department of Indian Affairs and a Roman Catholic mission. 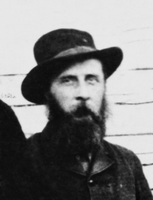 Resentful of Indian agent Thomas Trueman Quinn’s strict enforcement of the “no work, no ration” policy, militants such as Wandering Spirit grew increasingly hostile. The band had, in fact, been exposed to the ideas of Louis Riel, whom they had met in Montana in the early 1880s when they had been following the remaining buffalo herds. 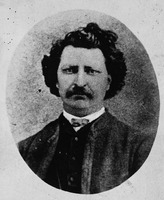 Riel urged that through concerted action the Métis and the Indians could drive the Canadians from their country and regain their freedom and independence. The signal for action came in late March 1885 with the news that the Métis had risen and routed the North-West Mounted Police at Duck Lake (Sask.). By this time, Big Bear was powerless to prevent Wandering Spirit and the other warriors from attacking Frog Lake. Early on the morning of 2 April the 12 whites and mixed bloods at Frog Lake were rounded up while the Indians ransacked the stores of the Hudson’s Bay Company post and the police barracks. Quinn’s defiant refusal to proceed to the Indian camp with the other prisoners so infuriated Wandering Spirit that he shot him and then shouted for the death of all whites, most of whom were killed within a few minutes. Nine men died. Only the two women, Theresa Gowanlock [Johnson*] and Theresa Delaney, and William Bleasdell Cameron*, an HBC employee, were spared. Wandering Spirit played a prominent role in subsequent events. His hatred of the Canadian government and its agents, the police, was manifest in his speeches prior to the fall of Fort Pitt (Sask.) in mid April: “We are tired of him [the government] and all his people and we are going to drive them out of the country.” Only Big Bear’s intervention at Fort Pitt prevented another violent outburst, which might have resulted in the deaths of the white captives, whom Wandering Spirit rightly suspected of sowing dissension between the Plains Crees and their reluctant Wood Cree allies. As Big Bear’s band began to move toward Poundmaker [Pītikwahanapiwīyin] at Battleford, the war chief worked actively to heal the breach and therefore held a Thirst Dance near Frenchman Butte (Sask.). When the advance of Major-General Thomas Bland Strange*’s forces interrupted the ceremony, Wandering Spirit rallied the camp for war and entrenched his men in rifle pits in a strategic position on Frenchman Butte. During the battle of 28 May, Wandering Spirit evinced good generalship as he “moved up and down the rifle-pits, haranguing his warriors, buoying up their courage,” and they repelled General Strange’s attack. As the Indians withdrew to the north after this inconclusive engagement, a dramatic change seems to have come over Wandering Spirit. The war chief sought refuge with the Wood Crees, who had seized an opportunity to desert Big Bear shortly after the battle. According to one account Wandering Spirit had experienced such traumas that within a few months his hair had turned almost white. In any case, burdened with remorse at the havoc he had wreaked, he attempted to atone for his actions by trying to commit suicide as the Wood Crees came in to surrender at Fort Pitt. He later explained to Cameron: “I knew there was no hope for me. Perhaps, I thought, if I sacrificed myself the government would not be so hard on the rest.” Wandering Spirit did not die from his self-inflicted chest wound but was carried by stretcher to Battleford to stand trial. The trials of the Crees arrested for their action at Frog Lake were short, and, in retrospect, justice seems to have been arbitrarily dispensed. 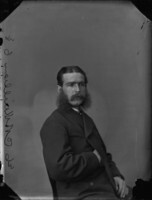 None of the Indians was given legal counsel; all were tried by stipendiary magistrate Charles-Borromée Rouleau*. Wandering Spirit admitted that he shot Quinn, but refused to explain his actions. On 22 September he was summarily sentenced to hang. The next person found guilty of murder was Paypamakeesit (Round the Sky), who was accused of shooting Father Léon-Adélard Fafard after the latter was wounded by Wandering Spirit. According to one account, Paypamakeesit, who had been cared for by the priest, was provoked into the shooting by the taunts of his comrades, but no evidence of this nature was presented in court. On 3 October Kittimakegin (Miserable Man) and Manachoos (Bad Arrow) were tried for the murder of Charles Gouin. Both pleaded not guilty, and Miserable Man asked Cameron to back his alibi that he had been in the HBC store at the time of the murder. Cameron, however, who loathed Miserable Man, had already helped secure for the crown testimony of Indian witnesses claiming that Wandering Spirit had ordered Bad Arrow to shoot Gouin and that Miserable Man had also shot him. The case against Apaschiskoos (Little Bear) and Nabpace (Iron Body) for the murder of George Dill appears in retrospect unconvincing: Iron Body was convicted on the evidence of Little Bear, who was then also convicted of the killing, but both stoutly denied that they had fired the fatal shot and Iron Body maintained that an Indian who had escaped custody had shot Dill. It seems that the federal government was determined to make an example of these Indians. When the cases were reviewed by the minister of justice, John Sparrow David Thompson*, no mitigating circumstances were taken into consideration and the death sentences were upheld. Wandering Spirit, morosely silent throughout his imprisonment, granted Cameron an interview the day before his execution. He regretted having believed that the Indians could resist the encroachments of the whites and restore the old way of life. The proud war chief declared he was not afraid to die, but he begged that he not be buried with the humiliating ball and chain which shackled him. As the eight Indians stood on the scaffold, Wandering Spirit was the only one who had no last words. While some of the others shouted war cries and defiance of the whites, Wandering Spirit, according to legend, softly chanted a love song to his wife. The bodies were buried in a common grave, later covered by an unmarked concrete slab. PAC, RG 13, C1, 1421. The Frog Lake ‘massacre’: personal perspectives on ethnic conflict, ed. Stuart Hughes (Toronto, 1976). Stanley, Birth of western Canada. R. S. Allen, “Big Bear,” Saskatchewan Hist. (Saskatoon), 25 (1972): 1–17. D. G. Mandelbaum, “The Plains Cree,” American Museum of Natural Hist., Anthropological Papers (New York), 37 (1941): 155–316. 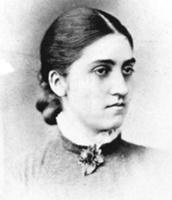 Sylvia M. Van Kirk, “KAPAPAMAHCHAKWEW,” in Dictionary of Canadian Biography, vol. 11, University of Toronto/Université Laval, 2003–, accessed April 26, 2019, http://www.biographi.ca/en/bio/kapapamahchakwew_11E.html.